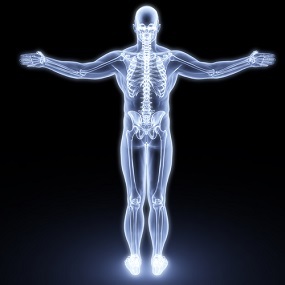 The course is designed to develop a positive attitude to human biology in the twenty–first century. It attempts to look at the way biology affects your everyday life and how you can evaluate the scientific material that you come across in newspapers, magazines and on the television. The course has been written to be accessible to students with little scientific background making it an ideal place to start your scientific studies. The course includes 8 Tutor-marked Assignments and 2 Mock Exams. you will develop a range of basic scientific investigative skills as you work with diagrams, graphs, statistics, photographic images and online media. The course provides an excellent introduction to the study of Human Biology and a sound basis from which to proceed to Biology A Level. Oxford Open Learning’s Human Biology IGCSE course is designed to prepare students for the Edexcel IGCSE in Human Biology (4HB1) for examination in June 2019 or later years. There is no coursework element to this specification. Both papers are 1 hour and 45 minutes long, are marked out of 90 marks, and each paper accounts for 50% of the total mark. Oxford Open Learning has teamed up with the award winning Twig video site to provide access to online Human Biology resources, specifically filmed to support GCSE level studies. Each Human Biology IGCSE student will get a free login to be able to view the entire Twig world range incorporating thousands of short educational videos. Throughout your course you will be referred to specific videos to support your learning. An annual subscription to Twig world videos would normally cost £99. 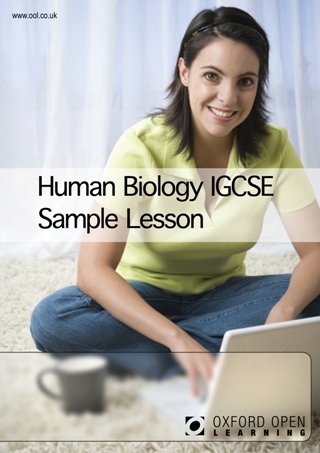 What's the difference between GCSE and IGCSE Human Biology? The international GCSE Human Biology is of the same level as a GCSE and is examined by Edexcel, one of the UKs most trusted examination boards. A key difference is that IGCSE Human Biology does not include practical course work, making it convenient for distance learners. The Human Biology International GCSE qualification is accepted as at least the equivalent of GCSE in UK sixth form colleges, FE colleges, universities and other HE institutions. 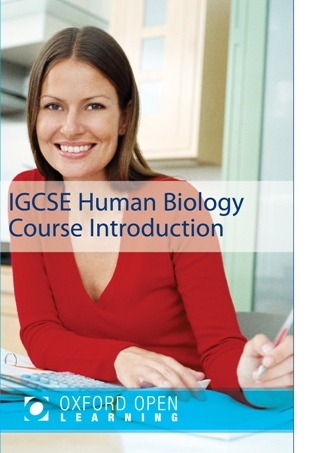 How much does the Human Biology IGCSE course cost? The Oxford Open Learning courses which are enriched by Twig include extensive links to appropriate films (and other supporting material), lesson by lesson. The student hops from the course materials to the films and back again. To access the films, students need a special password, supplied at enrolment. Students also need internet access and an e-mail account to benefit from this extraordinary resource which is offered as a “free” extra to students on the relevant courses.